The Job From Hell. . . Just Turned Deadly Paraplegic young attorney Pen Wilkinson is putting her life back together after a tragic accident, working for a large bank in a faraway city. She soon begins to suspect that the job and the company are not what they seem to be, and suddenly she is thrust into a nightmare. Unbelievably, her employer and the media accuse Pen of fraud and wrongdoing, creating a scandal that threatens to bring down her company. 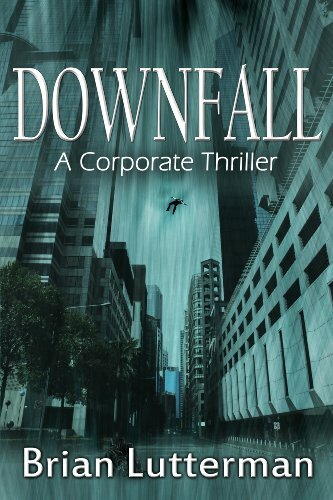 Fired from her job, alone, and dodging attempts on her life, Pen uncovers a string of sophisticated, deadly corporate sabotage incidents. Her search for the unseen saboteurs who destroyed her life takes her across the country, reaching a terrifying climax, as she finally confronts the real force behind the plot called Downfall.